The 714ce sports Taylors popular and versatile Grand Auditorium body style and incorporates a compelling alternate take on the classic rosewood/spruce pairing, featuring Lutz spruce rather than Sitka. 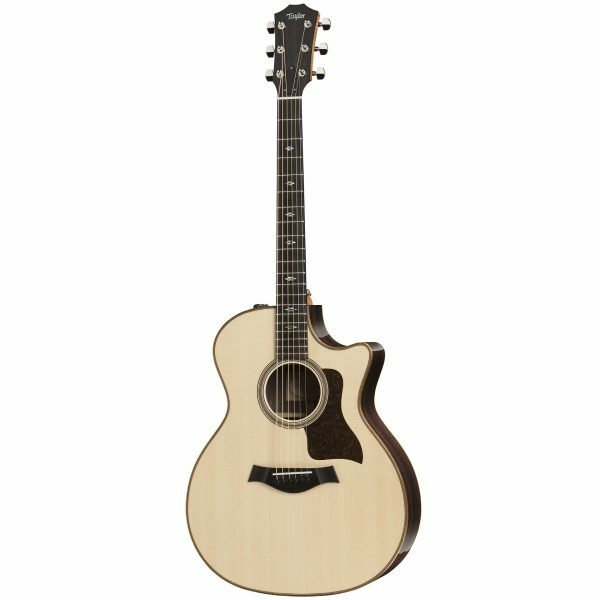 Together with Taylors Performance bracing and tone-enhancing protein glues, players can expect a bold and dynamic voice that balances rosewoods natural overtone sparkle with a strong fundamental focus, giving this and other 700 Series guitars a rootsy musical personality with expansive musical range. That musical character is matched by an aesthetic thats grounded in Americana style and refined with Taylors precision-crafted details. 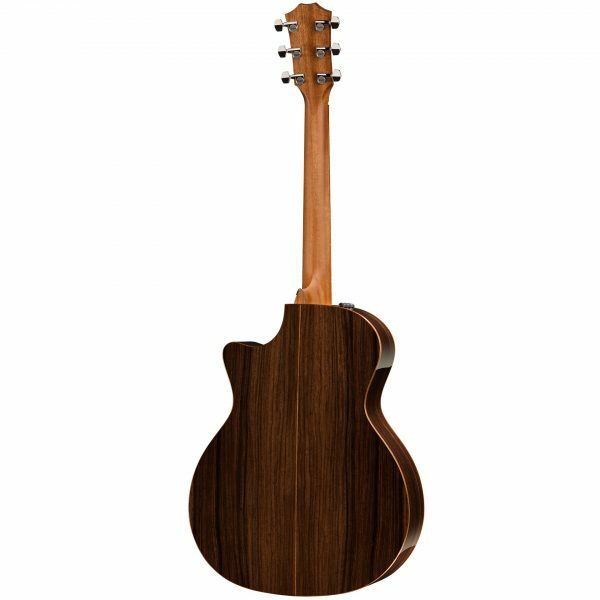 Rosewoods mocha complexion is complemented with wood-rich trim, featuring Hawaiian koa binding, a herringbone-style rosette of Douglas fir with maple/black accents, bias-cut Douglas fir top trim, and a weathered brown pickguard design with a pattern reminiscent of leather. Modern playing amenities include a Venetian cutaway and Taylors stage-ready ES2 pickup and preamp. Brand of Strings Elixir Phosphor Bronze HD Light Body Length 20"